I started the month of October looking at a horror/suspense film by Guillermo del Toro, so it seems somehow fitting that the last film this month should be a horror/suspense film produced by him, too. 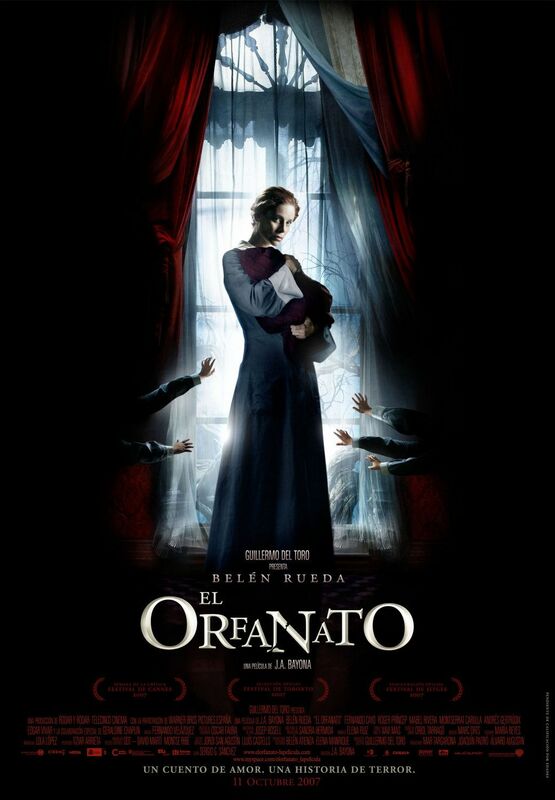 Today it’s 2007’s The Orphanage (El orfanato). Laura is the young mother of an adopted child, Simón, who brings her family back to the run-down orphanage where she was raised to reopen it as a facility for disabled children. While she is working to fix up the orphanage, Simón latches on to an imaginary friend named Tomás (who wears a sack cloth over his head), and the family is also approached by a social worker who digs a little too much into Simón’s background. All this leads to strange goings-on and a mother’s loss. I hate to give too much more of the plot away, since it takes some interesting turns that differ from the formulaic. There are some important characters in the film, but they are all centered around an amazing, lived-in performance by Belén Rueda as Laura. She brings a sense of reminiscence and haunted pain to her character that just about makes your heart break. Yes, this is a horror film, but it definitely veers towards the suspense side more. There are a couple of gruesome shots, but they’re not gratuitous It’s really a sense of dread and foreboding that permeates the film, yet at the same time held together with the love Laura feels for Simón. I have left out Laura’s husband, Carlos, because he’s there but not really important. This is Laura’s story, and Rueda is magnetic in the role. 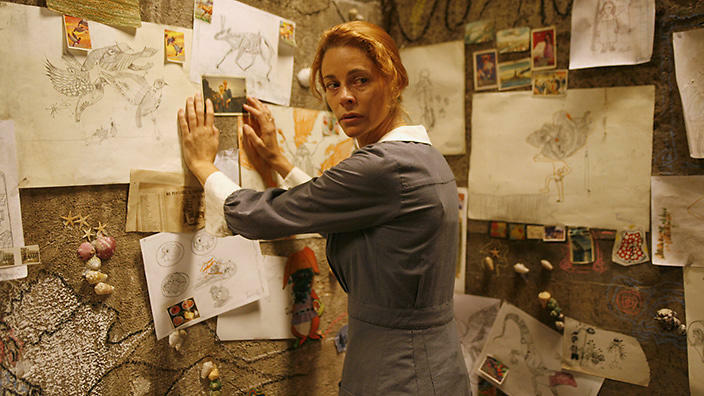 You can definitely see del Toro’s influence as the producer—The Orphanage has the look and feel of his Spanish films The Devil’s Backbone and Pan’s Labyrinth—but I think this film sets up some tighter relationships and interactions that haven’t really been seen in his films. Director J. A. Bayona does an amazing job developing that between Laura and Simón, and it’s amazing that this was his debut feature film. He has since also directed the Oscar-nominated film The Impossible (2012) with Naomi Watts, and I’m really excited to see what else he brings to the film world. Definitely a director to keep your eye on. 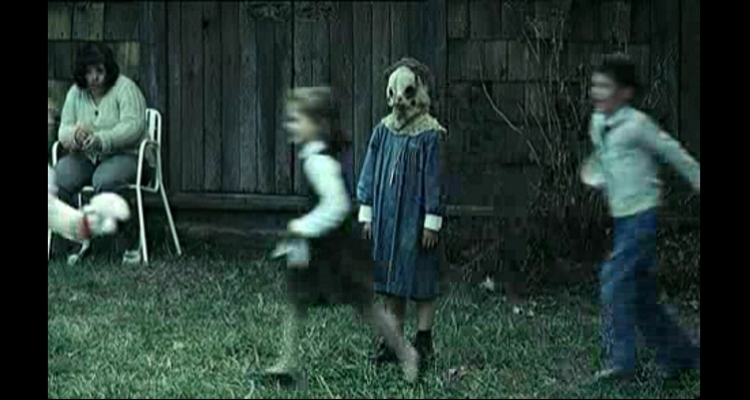 Why are kids so creepy? . 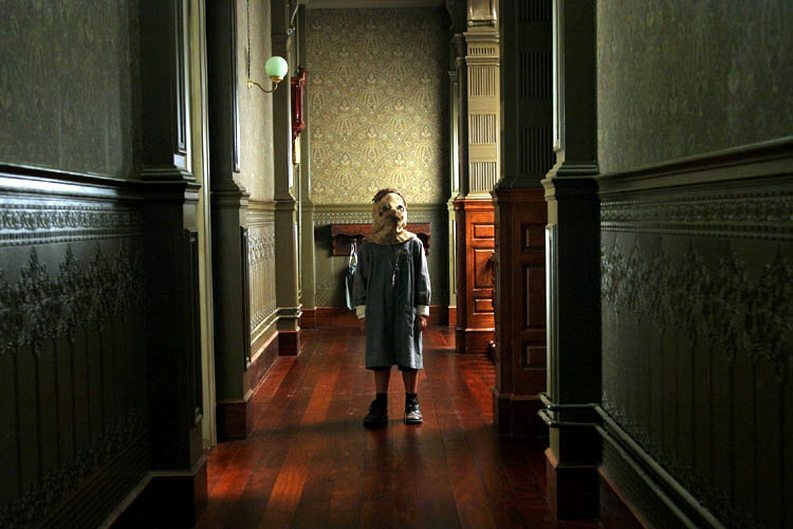 . .
As a suspense/horror film, there are some definite scares to be had, but unlike in a lot of American horror, they’re not jump scares. Bayona doesn’t rely on quick thuds of the music to indicate when you should be scared; he lets the story speak for itself. A lot of praise when the film came out focused on the natural scares of the film, and I completely agree with that assessment. You will jump, but not because you’re forced to—you will jump because you feel it. As you might be able to tell, I highly recommend this film. If you get a chance to see it in the theater with a group of people it’s even better—you get to see when the whole audience holds its breath waiting for a release.
. . . Because they can be. With this I conclude my October month of trying to focus on some lesser known horror films. I hope that they intrigued you enough to reach out and check them out. Or if you had seen them to rewatch and re-examine them. Happy Halloween! This film can be found on both Blu-ray and DVD. It is currently available via Netflix rental but not streaming, but streaming offerings change frequently, so keep an eye out. Feel free to discuss further in the comments below; just keep it respectful. I don’t enjoy horror films as a rule, but your write up makes me consider checking this one out. One of my favorite films, and horror isn’t really my genre either. It feels like more of a psychological thriller than anything that relies on horror tropes. It’s not really horror in the same way Pan’s Labyrinth isn’t really fantasy. Thanks for reading. There’s definitely horror elements, but it’s so much more than that.